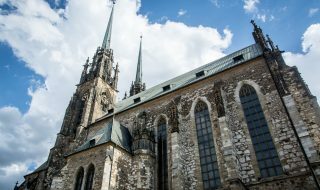 The construction of this church, dedicated to the Assumption of Our Lady, began in Staré Brno (Old Brno) in 1323. It was initiated by Queen Elisabeth Richeza, the widow of Czech King Václav II (Wenceslaus II of Bohemia). At the same time, she founded a women’s Cistercian cloister right next to the church called Aula Sanctae Mariae. When she died, she was buried in the basilica and her tomb was marked with an ‘E’ and a royal crown. The interior of the church underwent structural changes in the Baroque style in the 18th century while other buildings were being constructed in the abbey. Under orders from Emperor Joseph II, Augustinian friars moved from their original monastery to Mendlovo náměstí (Mendel Square) in 1783, bringing with them their famous silver altar dominated by a unique painting of the Black Madonna, which had been donated to the Church of St Thomas by Emperor Charles IV in 1356. 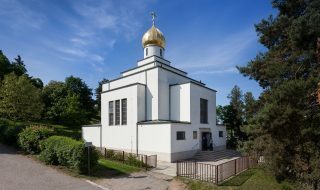 A feast of the Protector of the City of Brno and the Pearl of Moravia, as the Black Madonna is nicknamed, is held every year in mid-August. 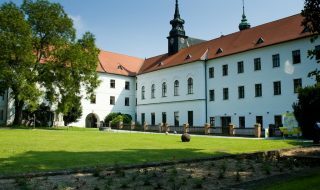 The educational activities of the Augustinian Order made the abbey in Old Brno a centre of spiritual, scientific, and cultural life in the city. 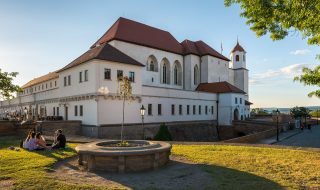 Two of the prominent men related to this place are Gregor Johann Mendel, who discovered the laws of genetic inheritance, and musical composer Leoš Janáček. Tell your friends about Basilica of the Assumption of Our Lady!